Many businesses are challenged with keeping floors in public spaces clean during hours of operation. These real-time cleaning needs tend to occur in smaller spaces that experience high traffic such as lobbies, entryways, food and beverage service areas, lounges and bars. Our new line of cordless products to addresses the challenges of small area, high traffic (SmAHT™) location cleaning. 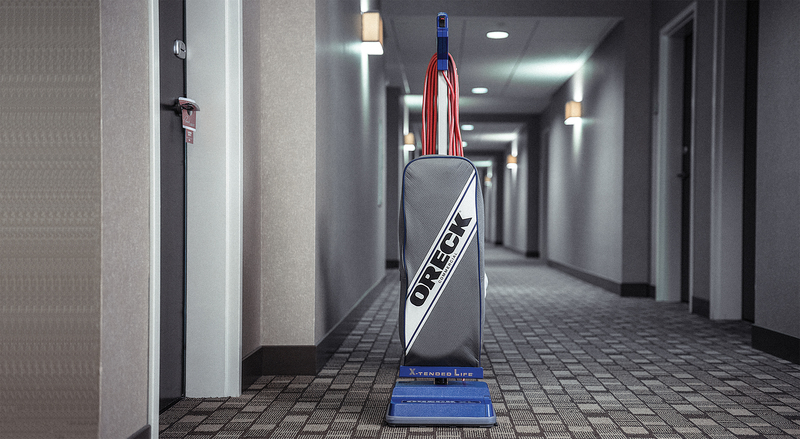 Oreck Commercial floor machines provide professional results in an easy-to-use design. Whether you need to polish hard floors or deep clean carpets, our versatile products offer everything you need to get the job done without hiring outside help.